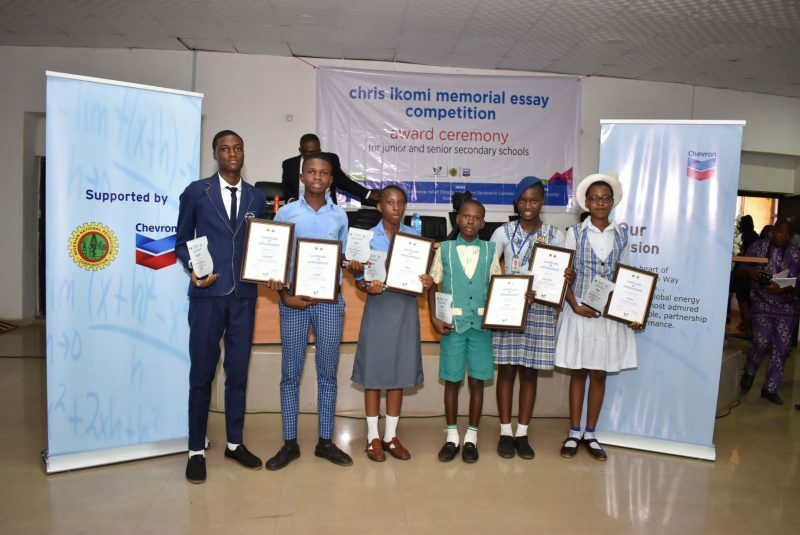 The Delta State Commissioner for Basic and Secondary Education, Barrister Chiedu Ebie, has commended the NNPC/CNL JV for the consistent sponsorship of the Chris Ikomi Memorial Essay Competition, which seeks to promote the study of English Language as a subject among secondary school students in Delta State, for 18 years. Douye Ebenezer, first prize winner for the Junior Category receiving his award from Samuel Dietake, Perm. Sec Delta State Ministry of Basic & Secondary Education while Kayode Adeboye of CNL supports him. 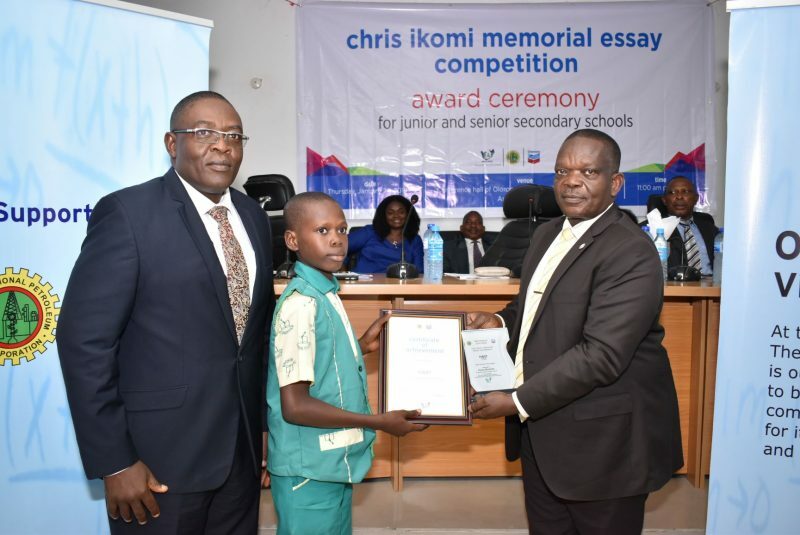 The Commissioner, who was represented by Samuel Dietake, Permanent Secretary, Ministry of Basic and Secondary Education, also noted that the objective for the Essay Competition was being fulfilled as more students have shown enthusiasm for the competition across the state. “It is gratifying to acknowledged that since inception, the competition has continued to witness a massive increase in participation by our students. It is therefore worthy of note that , a total of three thousand four Hundred and Twenty-Six (3,426) students participated in this 2018 edition as against Two Thousand Three Hundred and Fifty-Two 2,352 that participated in the previous edition,” he noted. Esimaje added that CNL’s corporate belief is that education remains a veritable tool for personal and societal growth and sustainable development and the Company takes delight in the fact that its contributions to education are helping to improve the ability of Nigeria to develop quality manpower in different fields. 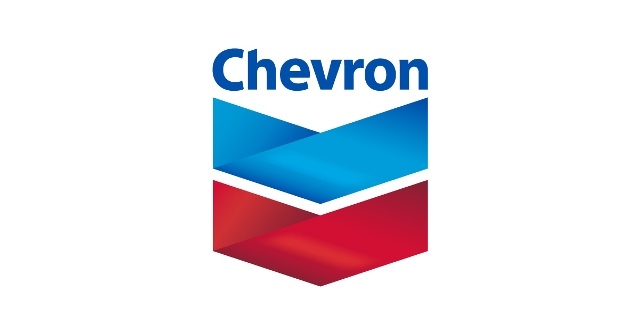 Out of the 3,400 entries, six (6) winners were selected based on their performance. Udezue Favour of our Saviour Secondary School Sapele, came first in the Senior Category while Edemoye Oghenefejiro of Stella Maris Sec. Sch. Ashaka Ndokwa East came second while Ifeanyi Elijah Dumkelechi of Peniel Academy, Boji, Owa Ika North East won the third prize. In the Junior Category, Douye Ebenezer of St Brendan Catholic College, Bomadi won the first prize, while Abamba Efezino of St Georges College, Obinoma, Ukwuani won the second prize and Nnah Amarachukwu Fedora student of our Lady of Nigeria Sec. School, Oghara, won the third prize. The first prize winners won NGN50,000 each in addition to school bags, branded notebooks and certificates. Those who came second in both categories won NGN40,000 while those who came third won N35,000 each. The schools that produced the winners also got plaques. The well attended event had students and teacher representatives from 9 schools. Other stakeholders present included Directors and Assistant Directors from the Delta State Ministry of Basic and Secondary Education as well as Principals and Teachers from all the schools of the winning students.